No phone can be considered durable, until someone tests it to the extremes. And one of the most credible torture tests is the iconic “Scratch, Burn, Bend” test by Zack at the JerryRigEverything YouTube channel. The latest phone to be tested by Zack is the brand new OnePlus 5, unveiled on Tuesday. The brand new flagship killer is put through the same treatment as all the phones before it, but it does perform much better than a huge portion of them. The scratch test proved that almost all of the phone is nearly unscratchable in reali life scenarios, such as grinding against keys or coins in your pocket. The back plate did pick up some marks when scratched with a said everyday objects, but these were easily wiped off with a finger. The burn test also proved the phone's durability, as it took more than half a minute for the display to pick up any marks by the open flame. 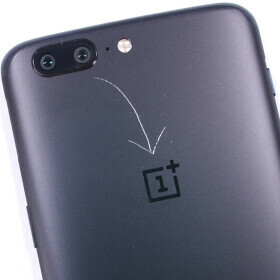 LCD screens usually recover from burn marks, but since the OnePlus 5 comes with an AMOLED panel, the scars on it were permanent. Then again, if your phone comes into contact with open flames, a white mark on the display would be the least of your worries. When Zack started the bend test, we were worried for a minute. The screen did pop out of the phone's body slightly, but when pushed back in it looked like nothing had happened. This is probably due to the lack of water-resistant adhesive around the display. Overall, the OnePlus 5 didn't bend or flex much, nor did it suffer any permanent damage in this part of the test, and that certainly says a lot about its build quality. We're properly impressed with what we've seen in the video. It appears that OnePlus has manufactured a very solid phone. However, we will wait to see for ourselves whether or not this is true. In the meantime, you can see Zack's video below.